The need for blood is constant. Please join us in helping save lives by donating blood. The upcoming NHS Red Cross blood drive will take place on Wed, Oct 17 from 11:30am to 5:30pm at the SCC HS Gym. 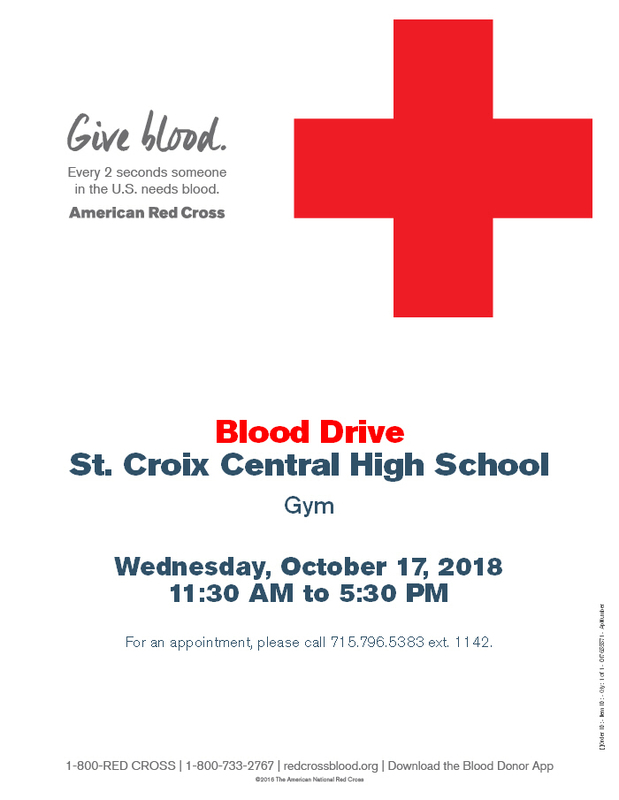 To sign up for a donation time, please email Mr. Kimberly (lkimberly@scc.k12.wi.us), call him at 715-796-5383 x 1142, or visit redcrossblood.org to sign up yourself online. Thank you in advance for saving lives!